The universe is constant transformation and all the flows and balances of energy are continually changing. Energy efficiency involves the wise use of resources so we remain in harmony with and conserve the flows and balances that sustain humanity. Human beings are integral to the universal flux of change and the efficiency of our every action alters with every moment. What can be considered a wise use of resources in one moment can be considered unwise in the next as our general environment alters, new technology evolves and our awareness of the impact of our activities changes. Energy efficiency is a state of being in which we are mindful of our actions and their potential impacts on all. It is the experience of the state of science born of compassion. It involves conserving the potential of our symbols so they most fully work in acceptance of stewardship/change. In this state of being we are more able to reflect more truly the nature of energy and enjoy harmony with all. Energy efficiency is being mindful that our use of a resource tends to degrade its usefulness and we need work constantly to conserve the resource. Energy efficiency = conserving energy. Energy, by its very nature, is constantly conserved and thus cannot be conserved. To suggest humans can conserve energy is to deny the fact that energy cannot be created or destroyed and continually transforms. The reality is humans can only work to conserve resources. Energy efficiency = saving energy. Energy, by its very nature, is constantly saved and thus cannot be saved. To suggest humans can save energy is to deny the fact that energy cannot be created or destroyed and continually transforms. The reality is humans can only work to conserve resources. Energy efficiency = using less energy without reducing the end-use benefits. This denies the Conservation Principle and its implicit message that that energy is so bounteous it can be considered a constant. Energy efficiency is not about using more or less energy but rather about using it in the most compassionate way. We can design our dwellings so as to optimize their solar and insulation potential. We can thus increase the ambient temperature using sustainable resources while reducing our demand for Bulk-generated electricity and fuels. 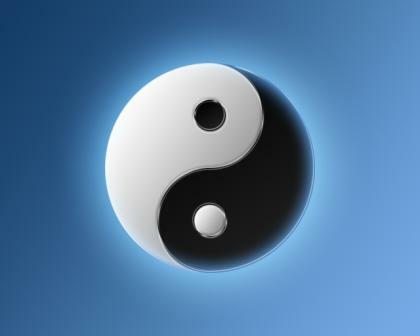 We effectively use more energy while remaining in greater harmony with the balances and flows that sustain us. Similarly we might increase the food available without negatively impacting on balances by employing the unused potential of our backyards. When the energy efficiency symbol is used in denial of stewardship/change it works to promote the politics of deprivation, waste and fear. For instance the merchant bankers who control the self-styled “energy corporations” generate such misery. Typical are of the Bulk-generated electricity and fossil fuel sectors. First they define their products as energy and promote addictive use of them i.e. encourage people to use them as though they are as vital and bounteous as energy. When demand for the product exceeds supply and their short-term profits are at risk, they and their media typically declare an “energy crisis” and call for their customers to deprive themselves by saving energy in an energy efficiency programme. Thus customers carry the costs of the supply shortfall, the addictive use of their products is sustained and the energy efficiency symbol is associated with misery and deprivation rather than opportunity and harmony. Energy efficiency is about reflecting and being in harmony with reality i.e. the constant transformation, which is our universe(s). Conserve the symbol thus and our children will inherit more options with a vision of far greater resources.